Nancy Hendricks, PhD, is an award-winning author whose book Senator Hattie Caraway: An Arkansas Legacy takes a fresh look at the first woman elected and re-elected to the U.S. Senate. Hendricks, Nancy. 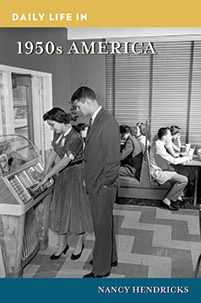 Daily Life in 1950s America. Greenwood, 2019. ABC-CLIO, publisher.abc-clio.com/9781440864421.